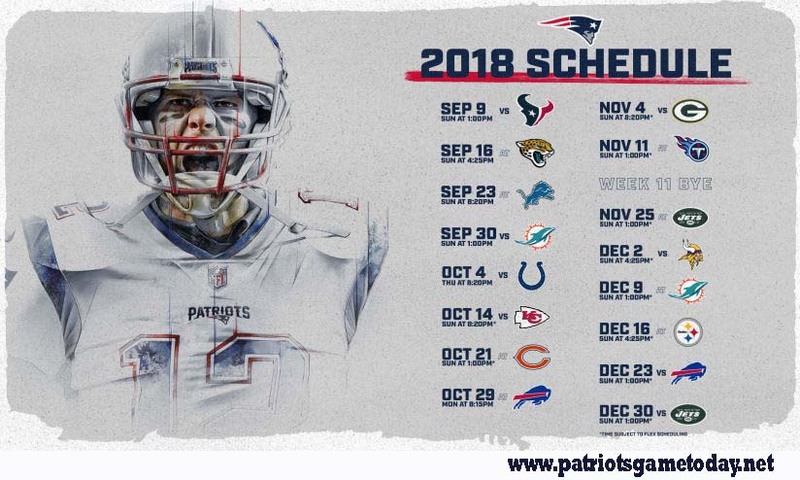 The Patriots will be looking for their 10th consecutive division title when they play out their 2018 schedule. When they’re not playing the AFC East this season, for the most part they’ll be facing the AFC South and NFC North. New England’s marquee games remain those against Pittsburgh and Kansas City, their fellow first-place AFC teams from 2017. But it also has couple much-anticipated inter-conference match-ups this season. The Patriots are going to look different in 2018. The Miami Dolphins signed wide receiver Danny Amendola, the New York Giants signed offensive tackle Nate Solder and the Tennessee Titans signed running back Dion Lewis. The Titans also added cornerback Malcolm Butler after he was benched on defense during the Super Bowl. Butler wasn’t the only impact player the Patriots lost, as they traded wide receiver Brandin Cooks to the Los Angeles Rams. It wasn’t all personnel losses for New England. The team traded for Cordarrelle Patterson, signed Jordan Matthews and will have wide receiver Julian Edelman back after he missed the 2017 campaign with a torn ACL. Even with the roster upheaval, the presence of Brady, tight end Rob Gronkowski and head coach Bill Belichick makes it difficult to envision any other team winning the AFC East this season. That is assuming Brady and Gronkowski will still be playing, which is apparently not a guarantee at this point. Adam Schefter of ESPN reported Wednesday the signal-caller “still has not committed to playing in 2018, even though people who know him believe he will be back for the coming season.” Schefter also reported Gronkowski hasn’t officially decided if he will play either. Biggest breaks: The AFC East competition helps the Patriots again, as they should sweep the Bills, Dolphins and Jets. Even though Buffalo made the playoffs last season, it’s not the same team this year, and both Miami and New York will be bad again. Taking away New England, the division remains weak.